Call 484-254-6780 or email: intake@phoenixrecoveryproject.com to inquire about admission. 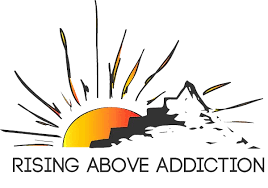 The Phoenix Recovery Project located in Chester County will only accept potential residents who are discharging from an detoxification or inpatient residential drug and alcohol facility. With this in mind clients who come in contact with us will be referred to appropriate provider. Based on their need a person will be placed in treatment as a result of our assessment. For this reason they will be more stable, and can be re-evaluated for admission once they complete rehab. Residents can find long term recovery as a result of a great recovery house. Residents will complete an in-person interview or thorough phone screen is required to due to the determination if the patient is a good fit for the recovery house services. On the whole we want to create a loving & caring environment that is very structured. We understand that our way is not the right path for everyone as a result we want to sure ensure our residents have the best shot at recovery. If approved we will also request medical records/medication lists from the referring inpatient treatment provider due to the fact that not everyone is appropriate for our house. A Phoenix Recovery Project staff member or the drug and alcohol treatment provider will provide the transportation as result of approval. We prefer it to be a door to door transfer as a smooth transition from inpatient to a recovery house for the simple reason that it is crucial to resident's successful acclamation to our sober living house. Patients should not return home before arriving as it could result in relapse. A new resident will be welcomed by staff, and be oriented to the house/rules accordingly. Fun Fellowship Outings - Movies, mini-golf, bowling etc. An open mind and heart! As was previously stated all calls to our team are completely confidential. We answer the phones 24/7 for admissions. If we do not answer please leave us a detailed voice message or send an email and we will get back to you as soon as we can. If a potential resident is not a fit at our recovery house it is our promise to ensure we get them the help they need accordingly. 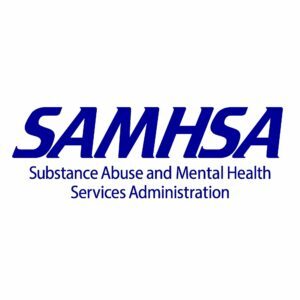 We will not rest until they find the appropriate services for there needs whether it be a drug and alcohol inpatient center, detox, residential services, partial hospitalization, intensive outpatient, or outpatient. Chester county and surrounding counties like Delaware, Philadelphia, Montgomery, and Bucks will be utilized. Providing that insurance is not an obstacle we will not rest until the person has help. On the condition of completed treatment a potential resident can admit to the house. Are you ready to start your new life? Pick up the phone or email us now!